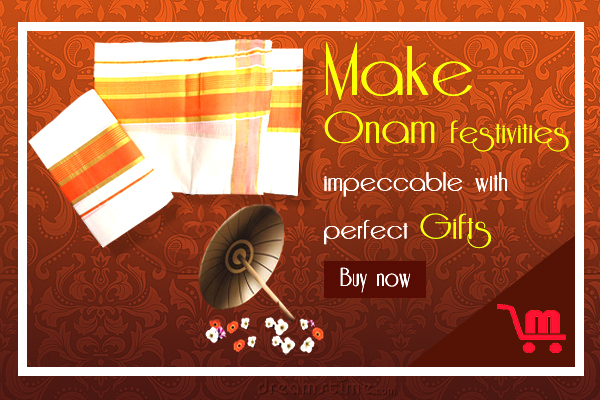 The most awaited Onam Offer Sale is back with a bang. The sale starts today from 10th July 2017 and will last up to 11:59 pm on 30 Sep 2017. The two months will allow customers to leverage exclusive deals on Malabar shopping. The online retailer is offering discounts up to 40 per cent off on a variety of items including kerala kasavu Sarees, kerala kasavu mundu, mens dhoties and other kids traditional items like pattu pavadai, kasavu churidar during its sale period. 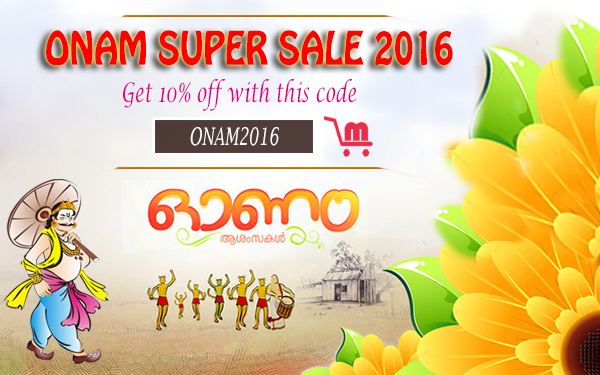 Malabar Shopping Onam Super sale starting from July 15, 2016 through September 16, 2016 , In this festival season we organize a special Onam festival offer to all our customers. Malabar Shopping will be closed for a Onam Holiday from September 13 (13/09/2016) through September 16 (16/09/2016); Orders placed at this time will be processed on or after September 19. Orders placed from September 13 (13/09/2016) through September 16 (16/09/2016) will be processed when we reopen on or after September 19, 2016. Once your order is processed and dispatched you will receive e-mail notification. Should you have any problem at all with our product, please send us an e-mail at sales@malabarshopping.com ; We will respond to you and will resolve the problem once we’re back – on or after September 19, 2016. You may receive an automatic response from us during the period. Please, do not resend your e-mail again, if you have an automatic response from us, that means your Message is already successfully stored in our system. Wishing you happiness and prosperity , on Onam and Always! Sarees are the best friends of women. Women can never resist buying Saree because it is an essential part of their dressing and personality. Since traditional times, Kerala Kasavu Sarees has been carved out of various materials in different parts of the world. 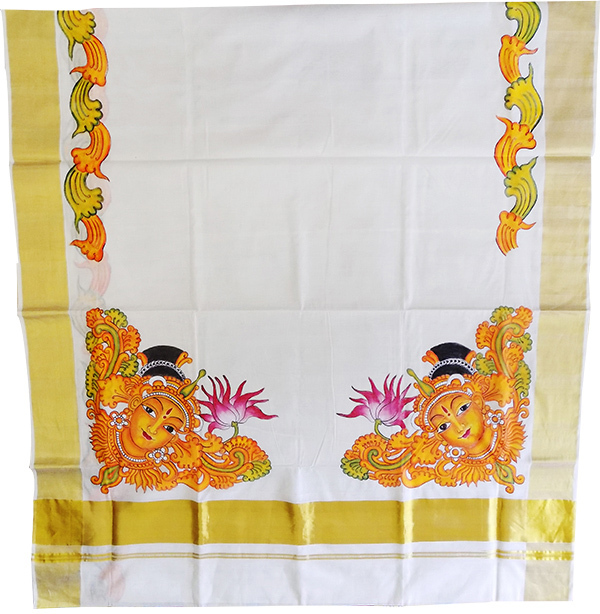 now we are introducing Kerala’s own mural painting works on kasavu settu sarees. Malabar Shopping Onam Holiday from August 27, 2015 through August 29, 2015 , In this festival season we organize a special vishu festival offer to all our customers. 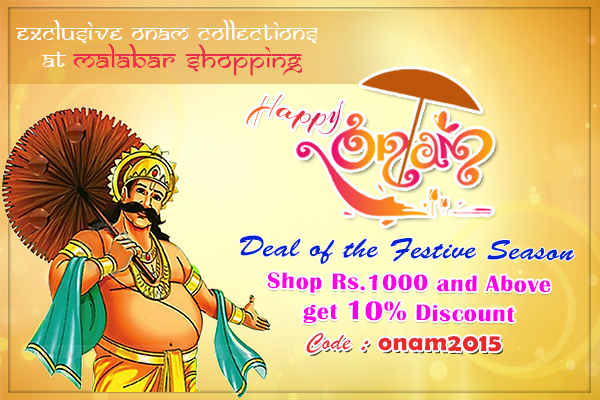 Malabar Shopping will be closed for a Onam Holiday from August 27 (27/08/2015) through August 29 (29/08/2015); Orders placed at this time will be processed on or after August 30. Orders placed from August 27 (27/08/2015) through August 29 (29/08/2015) will be processed when we reopen on or after August 30, 2015. Once your order is processed and dispatched you will receive e-mail notification. Should you have any problem at all with our product, please send us an e-mail at sales@malabarshopping.com ; We will respond to you and will resolve the problem once we’re back – on or after August 30, 2015. You may receive an automatic response from us during the period. Please, do not resend your e-mail again, if you have an automatic response from us, that means your Message is already successfully stored in our system. Here we are comes with a good and mind blowing experience gives to all who celebrate vishu. In this festival season we organize a special vishu festival offers to all our customers. to celebrate this festival season we have added lots of new elegant collections of the traditional attire.the grand season celebration can starts with joy of beauty. 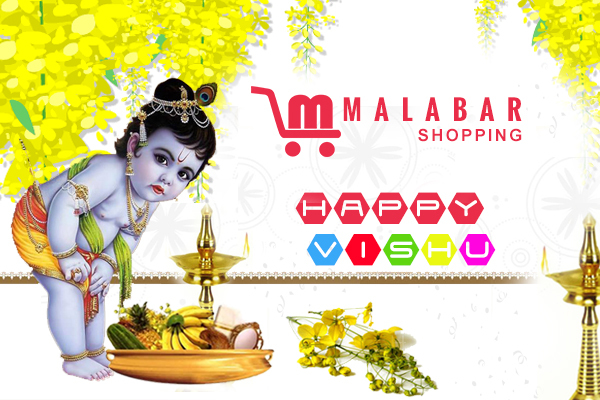 Just Visit Malabar Shopping to get Vishu festival discount offers.